Service and repair for filters, pumps, heaters, motors, chemicals, valves, lighting, controls, system diagnostic and much more for all major brand and manufacturers. A swimming pool and/or spa is a large investment and an integral part of your life and home. If you own one you know how wonderful it can be, but you also might know how complex a properly working pool system really is. If one part of the system s not working properly, it can not only make your pool unusable, but left in disrepair for long enough and it can also cause damage to other parts, leading to even more costly repairs. An important aspect of the whole system is also the water chemistry itself. An unusually cold winter or unusually hot summer, such as Houston has seen in recent years, can cause chemical changes in the water that cause various system components to fail. 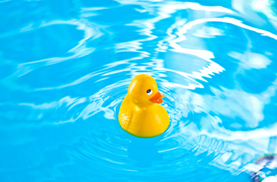 We are Houston's leading experts in water chemistry and the most knowledgeable repairs for your entire pool system. Barry's is also your expert for spa repairs - including hot tubs, jacuzzis, jetted bath tubs and whirlpools - whether attached or freestanding, outdoors or indoors. Service and repair for filters, pumps, heaters, motors, chemicals, valves, lighting, controls, system diagnostic and much more for all major brand and system manufacturers. Call on us to get the job done right! Had to look for a pool and spa contractor to sub out a reconditioning of a used spa. The company I work for was contracted to do a design build on a patio/yard restoration. After a week of calls I found myself using Yelp to locate one which led me to Barry's Pool & Spa Repair. BEST THING WE EVER DID! My counterpart in the office had experience with other pool services and warned me about what I might run into. As he described it most of the people in the industry are looking for the endless summer. Did not have any issues with Barry's....all I experienced from Barry's was endless professionalism and prompt service. Price quoted was the price they stuck to (no last minute change orders or surprises). David was the rep that assisted me with the project. His expertise was top notch and explained the process to restore the spa and all the steps it took to get this massive project ready for some fun in the sun. The client is happy! Everyone is happy! I will keep them in my rolodex for the next project.